Despite promising growth in population numbers, there is concern that the grizzly bear population of Yellowstone National Park will be negatively affected by this removal from the endangered species list. Grizzly bears can be found living throughout Yellowstone National Park. Photo credit: shutterstock.com. Yellowstone has been the jewel of the states of Montana, Wyoming, and Idaho since it was established in 1872. The park attracts millions of tourists each year. Key attractions of the park are its unique geothermal features including the famous geyser, Old Faithful. While Yellowstone is home to a wide array of wildlife, one species stands out - the grizzly bear. The apex predator in the park, the grizzly bear, sits at the very top of Yellowstone’s food chain. The grizzly bear is one of the evolution’s masterpieces with adult males weighing as much as 790 pounds. However, incessant hunting of these majestic bears had a detrimental effect on their numbers, and according to phys.org, the grizzly bear was listed as a threatened species in 1975 after its population in Yellowstone fell to reach an unprecedented 150 animals. However, a recent study conducted by the Interagency Grizzly Bear Study has shown that grizzly numbers have grown to reach about 700 individuals. The improved figures are a result of intensive day-to-day management of the species done by several conservation agencies led by the U.S Fish and Wildlife Service. The recovery of the grizzly bears has led the U.S Fish and Wildlife Service to delist the species from its Endangered Species list and in so doing the agency will transfer the management of the grizzly bears to the states of Montana, Wyoming, and Idaho. According to Bozeman daily chronicle, the decision came into effect on Monday, July 31, 2017. State officials were elated with its provisions which give the respective state departments more authority on the handling of affairs in the park. According to state officials, the delisting will help in removing unwarranted bureaucracy during decision-making processes as inter-departmental consultations made the process slow which included the decision on what steps to take in the cases of grizzly bear attacks humans. 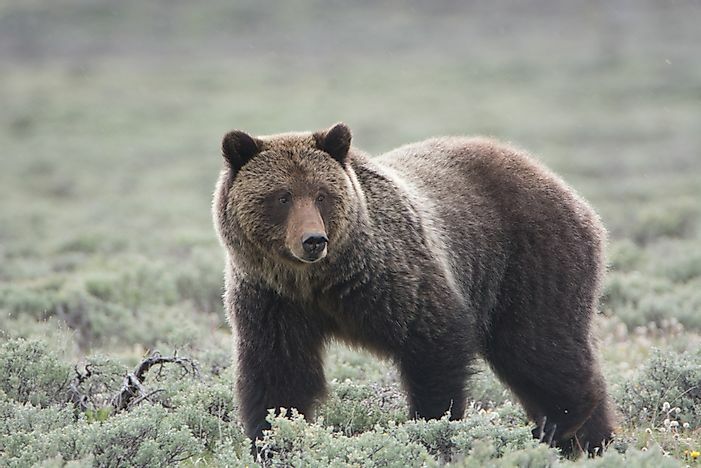 However, the U.S Fish and Wildlife Service will not abandon Yellowstone entirely and will take up a supervisory role in the management of the grizzly bears for the next five years. The decision to delist is the second of its kind in ten years. The U.S. Fish and Wildlife Service previously attempted to delist grizzlies in 2007 - the attempt was fought in federal courts by environmental groups. These groups have already expressed their intentions to file legal suits against the delisting and are optimistic that the precedent set in 2007 will favor them. However, any legal suit will have to wait for 60 days before it is presented before a federal court.